My name is Lela Lässig. As you can see, I am a little fawn. Although I’m still very small, I already skip through the woods and over the meadows. My friends, the little hares, love playing and running with me. There is so much to see! And when I am tired from all my adventures, I snuggle up in the soft green moss and sleep. The sun warms my fur while I dream of all the wonderful things I have seen. 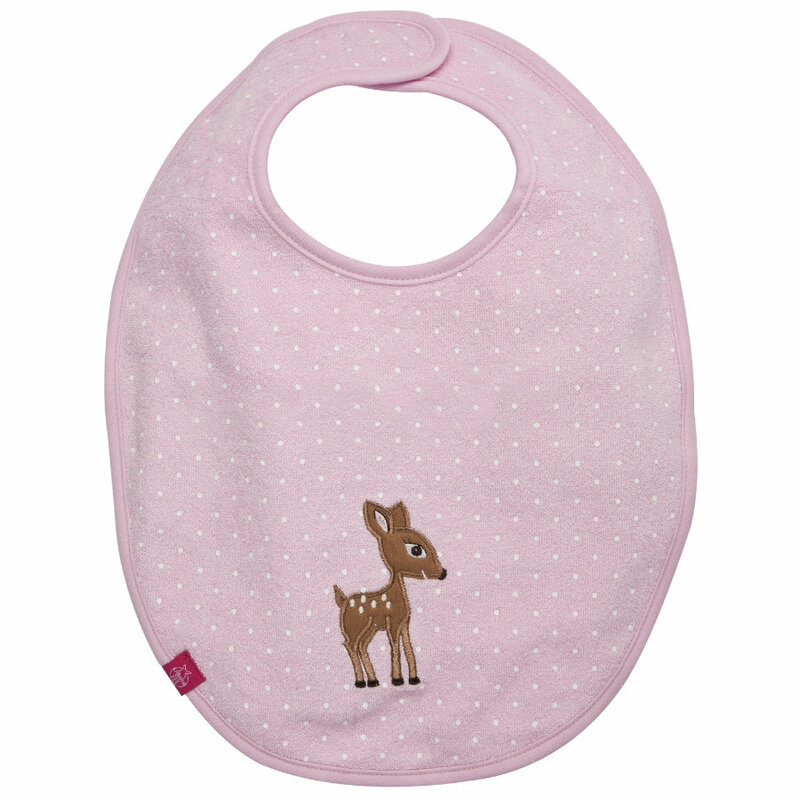 • bib made of water resistant material, free of harmful substances.